Well apointed rooms with modern facilities. One Queen size bed with ensuite, tea and coffee making facilities, bar fridge, TV, DVD, CD player, Airconditioning. Use of pool and spa and tennis court. Rates are for 2 people. The room caters for a maximum of 2 adults, or a maximum of 1 adult and 1 child but cannot exceed 2 guests in total. Bedding Configuration is 2 x queen size beds or a queen and 2 singles. Facilities include: dishwasher, stove with oven, microwave, fridge/freezer, washing machine dryer combination, TV, DVD, CD player, Austar and a balcony. Bedding configuration is 2 Queens and 2 Singles. Facilities Include 2 Bathrooms, Full Kitchen, Laundry Facilities. All rooms have a Balcony. 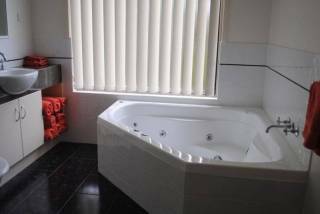 Austar in rooms DVD players, CD players, use of spa & pool free Rates are for 6 people. The room caters for a maximum of 6 adults. Bedding configuration is a queen bed. Full Kitchen, Laundry Facilities and a Balcony. Rates are for 2 people. Use of pool and spa and tennis court. Bedding Configuration is 1 Queen Bed and the other 2 rooms can be either King Beds or 2 Single Beds. Please inform us of your required configuration. Facilities Include 2 Bathrooms, Full Kitchen, Laundry Facilities. All rooms have a Balcony. 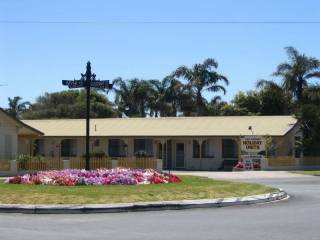 Austar in rooms DVD players, CD players, use of spa & pool free Rates are for 6 people. The room caters for a maximum of 6 adults. Bedding configuration is 2 Queens or 1 Queen and 2 Singles. Includes Full Kitchen, Laundry Facilities and a Balcony. Rates are for 4 people. The room caters for a maximum of 4 adults.Use of pool and spa and tennis court. Victorias and Lakes Entrances most luxurious 4.5 star resort The Esplanade Resort & Spa. 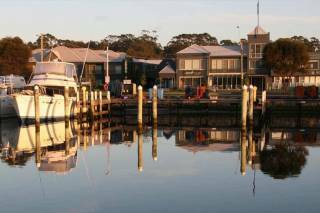 Perfectly located between two pristine stretches of water forming the eastern end of the Gippsland lakes at Lakes Entrance, The Esplanade Resort offers the perfect Lakes Entrance Accommodation. 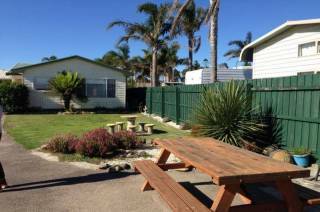 The resort offers lakes entrance accommodation packages for couples and families alike. Excellent facilities are also provided for the corporate traveler. Comprising of 134 rooms including modern hotel rooms, 1, 2 and 3 bedroom fully self contained apartments and penthouses for the perfect accommodation during your stay in Lakes Entrance. Facilities include a large lagoon pool, indoor heated pool and spa, floodlit tennis court, BBQ areas, 1@1 Restaurant with alfresco dining and bar and Illuka Day Spa - specialising in hydrotherapy. Indulge in a relaxing massage, facial or body treatment at Illuka Day Spa. Our spa specialises in natural skin care using Aveda products which combine pure plant essences and science to create a high performance skin care system. Enjoy a casual game of tennis on our floodlit, full size tennis court while your family or friends can watch the game from the picnicand BBQ areas beside. Racquets and balls are available at no charge from reception. For the children and adults alike, enjoy a swim all year round in our heated indoor pool or relax and unwind in our large heated spa bath. Or soak up the sun on a poolside banana lounge then take a cool dip in our magnificent resort pool, with gradual sloping entry. Two BBQ areas and other picnic areas surround the resort, mingle with others or purely enjoy an alfresco dining experience on your own. We have two lifts one to service each wing. Both secure with key card entry or intercom for added security for guests. Disabled access: We have lift access to rooms, enabling limited disabled access. The Esplanade Resort and Spa accepts the following credit cards - Mastercard, Visa and AMEX (a 3.3% surcharge applies to AMEX).